Mobile app has various ground breaking features that aids to simplify the accessing of your business for your valuable customers.It helps to eliminate the need of the computer and laptop.This app has been tailored specifically to fit the needs of a small business. 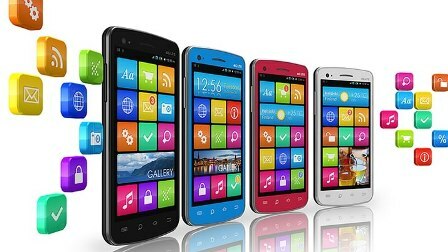 It becomes immensely popular among people in which there enhances tremendous changes from year to year.Mobile app developers should always be updated with new emerging mobile app trends.To sustain in this evergreen market, you need to adapt the latest trends, adjust marketing accordingly, and keep up-to-date with daily happenings. These are the popular trends that need to be watched out in 2014! Smartphones have acquired immense popularity and reputation among everybody but still they lack in strapping security features that could keep robbers away.Due to less security, phone snatching becomes a dangerous threat for owners who have high valued models.Biometric security methods are a standard solution for all kinds of high-end mobile devices.It has the capability to make the mobile absolutely useless to every individual, but not to their rightful owners.App developers cannot build security features without actual software support. Biometric technology built into the phones can help the developers solve security-related problems. In the mobile industry, everything comes under the mobile size and its processing power.This is why mobile processor is considered as the most important one and soul of the entire industry.Anyway, top mobile brand companies like Apple and Samsung are well aware of this fact.In 2014, Apple took the lead with its A7 processor built in 64-bit technology.It was first seen in iphone 5S in which it becomes standard for all Apple devices.More interaction and rich media generally get more power so that it becomes more essential for all apps of the new generation.